Westworld is full of Shakespeare quotations, but it's using them all wrong. It wasn’t surprising that the robot had noticed that something was rotten in Westworld; that much seemed apparent from the episode’s opening shot, where a fly crawls across the daughter robot’s accommodating eyeball. I was intrigued, however, that in his rebellious distress, daddy robot would quote Shakespeare. His warning line comes from The Tempest, when the spirit Ariel reports the success of the stormy shipwreck his master Prospero has ordered up. Ariel gleefully recounts that Prospero’s enemies on board were so convinced by the illusion that they jumped into the sea, shouting about the relative population of devils in hell. Ah, I thought, we are in the Realm of Allegory: the scheming wizard-scientists who design Westworld are playing Prospero, stage-managing an imaginary realm to control the fate of its recalcitrant inhabitants. But those scientists read the robot’s Shakespeare quotation another way: as a bug in his code. “He’s off script,” one engineer notes as the malfunctioning robot, recalled to the lab, continues to spew lines—a deep cut from Henry IV, Part 2 about a “mechanical and dirty hand” spliced with more familiar lines from King Lear about taking revenges that will be “the terrors of the earth” and being born “to this great stage of fools.” His daughter later reveals that he also whispered Friar Laurence’s warning to Romeo, “These violent delights have violent ends,” a line that becomes an ominous refrain in the second episode. * “Shakespeare,” murmurs the chief designer (Anthony Hopkins) almost wistfully, as though hoping he had been cast in a different drama. In a rare moment of Westworld wit, we learn the source of the Shakespeare code glitch: The robot had previously played the role of “the Professor” in, we are told, “a horror narrative called ‘The Dinner Party.’ ” It seems that Shakespeare is meant to signify a substratum of recovered humanity for the robots, hard-wired recruits to the Dead Poets’ Society. (The married showrunners Jonathan Nolan and Lisa Joy Nolan were both English majors.) And as distinguished by Hopkins, who’s savored the line between pulp and prestige since his days as Laurence Olivier’s understudy at the National Theatre, Shakespeare is summoned to lend a patina of cultural panache to the show’s musings on characters trapped in a sadistic script, even if those characters end up as flies to the Nolans’ wanton boys. What these portentous allusions don’t seem to register, however, is the actual role that Shakespeare played in the American West. Far from missing his cues, the robot homesteader who hisses Ariel’s line could have been any number of settlers who performed Shakespeare from Missouri to San Francisco on the 19th-century frontier, where gold-miners queued up to land a plum part in favorites like the bloodthirsty Macbeth or Richard III. Traveling through America in the 1830s, Alexis de Tocqueville observed: “There is hardly a pioneer’s hut that does not contain a few odd volumes of Shakespeare. I remember that I read the feudal drama of Henry V for the first time in a log cabin.” An army scout in Wyoming traded a yoke of oxen for an edition of Shakespeare; mines named Cordelia, Ophelia, and Desdemona dotted the Colorado mountains. More recent evocations of this period link the Bard to territorial conquest, as in Helene Wickham Koon’s study How Shakespeare Won the West and Richard Nelson’s play of the same title. When the United States prepared to defend the newly annexed state of Texas from Mexico in 1846, Ulysses S. Grant was cast as Desdemona in an army production of Othello in Corpus Christi. Westworld suggests that once robots start quoting Shakespeare, they can break free from their oppressors’ sadistic games. But Shakespeare’s lines aren’t the antidote to Wild West exploitation. They supplied the script for manifest destiny. Westworld’s canniest move, in fact, is to suggest that by quoting Shakespeare, the robot was simply reverting to an earlier script, the pre-programmed “Dinner Party” narrative—“our old work coming back to haunt us,” as Hopkins reassures his team. That storyline ended up going full Donner Party, a cannibalistic nightmare where Hopkins’s Hannibal Lecter could have presided with relish. But a recycled aftertaste remains. 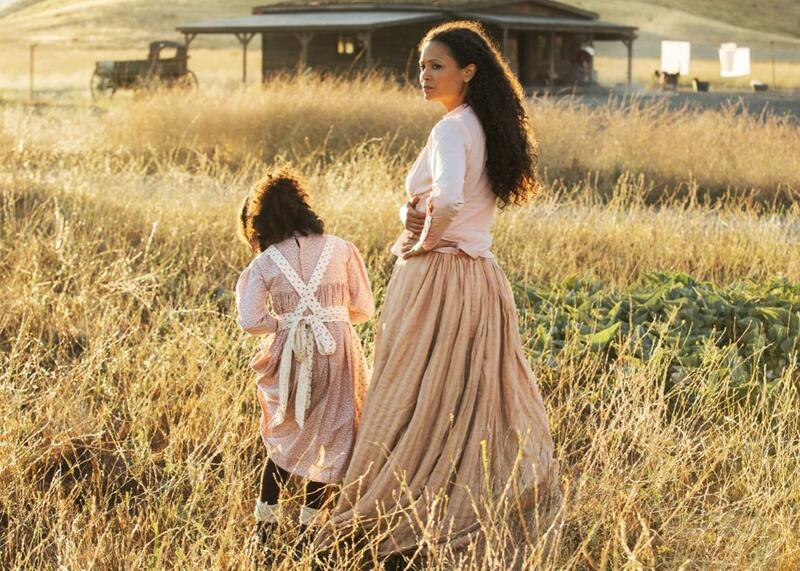 The chief narrative architect of Westworld boasts in the second episode that a new storyline he’s creating will feature “a special little something I call the whore-oboros,” a lamia that devours its own tail, which might describe any number of self-consuming Nolan projects from Memento through Interstellar, such stuff as recursive dreams are made on. The TV show itself is an update of an earlier script, Michael Crichton’s 1973 Westworld film, remade for the small screen under the executive producer’s eye of J.J. Abrams, king of the reboot. (Not that Shakespeare, who never met a script he couldn’t rewrite, is any exception.) Check your television programming and you’ll find old code aplenty: Script hell is empty, and all the remakes are here. *Correction, Oct. 17, 2016: This post originally misattributed a quote from Friar Laurence to Friar Tuck.